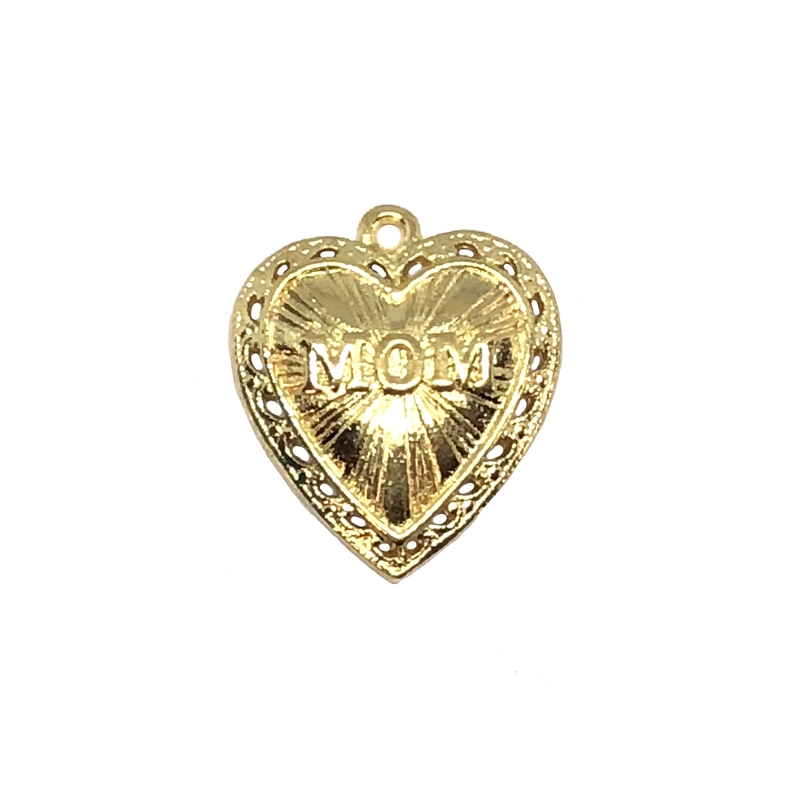 Mom heart pendant, 22K gold finish pewter, charm, pendant, pewter castings, B'sue by 1928, US made. Measures 24 x 21mm. (measurement includes top hanging hole), slightly dapt design with a pierced border. Works nicely for bracelet making or necklace making. Signature 1928 Company swirled impression on the back. This piece is so versatile as it is reversible, lovely either way. Multiple uses, charms or necklace. This gold finish is even more beautiful in person!! You must try it! 22K Gold Finish is a rich bright gold wash over the pewter. Very strong and sturdy, it is lead and cadmium free as are all our finishes at B'sue Boutiques.